The all-new Funko app is the most definitive collection and value tracker for your most prized Funko collectibles. 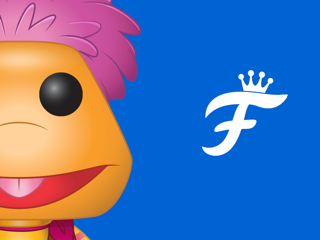 Funko has partnered with Pop Price Guide to bring you daily trending values for over 17,000 Funko verified collectibles. We’ve listened to our fans to bring you the best collection tracker app on the market! At its core, the all-new Funko app is all about discovering new and vaulted Funko products, building collections and wishlists, and tracking the values of individual products or entire collections. 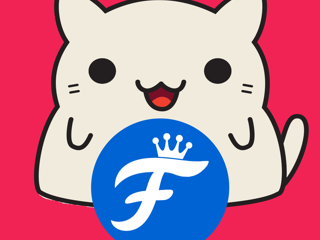 • Users of Stashpedia and the Funko Beta app will be able to migrate their collections without starting from scratch. • New items added daily as they are announced. • Search, scan, and discover to easily find items. • Over 17,000 individual items to track. • Add multiples of an item to your collection. 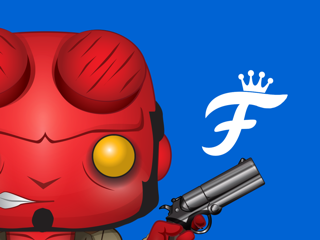 • Share the same account on Funko.com, the app, and all your devices. • Track the value of your collection. • Check the value of your collectibles from the most accurate and up-to-date price guide. • Multiple currencies supported including USD, AUD, CAD, EUR, GBP, and NZD. • Find options to purchase from popular in stock retailers and lowest offer from eBay. Has a lot of bugs that need to be fixed! I’m happy that Funko made this app, because I believe it will be updated more frequently than Stashpedia. However, there are a LOT of bugs and features on the app that need to be updated, and I don’t believe Funko should have released this app yet, as it is not ready. The mechanics for searching for items is extremely poor. Too many results come up, and it’s hard to specifically search for anything. I’m glad I can add my pint size heroes and pocket Pops to my collection now, but it’s impossible to search and find them, so adding them will be a frustrating process. Additionally, I preferred the way Stashpedia categorized my collection far better than this app. Recently released and oldest released is a poor way to categorize it, and I was very disappointed to see that there was no longer “recently added.” I also liked the option to see where my exclusive pops had come from, and which were commons. I have over 500 items, and even more with the edition of pint size heroes and mystery minis, and I cannot easily locate anything with the new categorizing system. I’m going to keep collecting Funko products, because I’m a huge fan of Marvel, but I hope bug fixes and important changes come to this app ASAP. Stashpedia had its flaws, but it was far better than this app. We appreciate you taking the time to provide us with your feedback. We want you to know that we take every user’s experience seriously, and that we are dedicated to improving your experience and growing through community feedback. If you would like to provide more detailed feedback, please reach out to appfeedback@funko.com so that we can work through any issues together. I was using the original app before this update and it was better. It kept the collection just fine. This new update did NOT merge my account and I now have to manually enter over 400 into the my collection. It did attempt to merge by taking me to safari and having me login. After several attempts, the old app deleted my inventory. I was looking forward to the update very much with the third party integration. With this new app I can’t really search for a POP as easily and smoothly as before. The new update returns no results but I scan it, which is fine but expected this feature not to work that well just yet. It was surprising. Very confusing and frustrating as well. I will continue to use the app because of the third party integration, but it still needs much improvement, not only in the UI but with data it should have. Search needs to be improved drastically, or at least use the same algorithm from the previous app but hey I’m not the developer. Overall it’s useful but still needs much work. We appreciate you taking the time to provide us with your feedback. We want you to know that we take every user’s experience seriously, and that we are dedicated to improving your experience and growing through community feedback. If you would like to provide detailed feedback, please reach out to appfeedback@funko.com so that we can work through any issues together.